How do you develop good money habits in your kids (or in yourself, for that matter)? 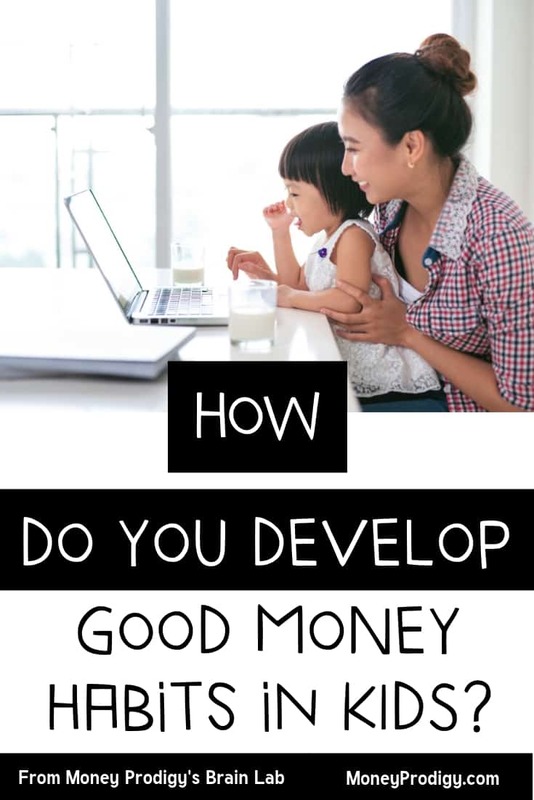 Let me show you which good money habits to work on, and how to instill them in your child. We ask or tell our children to do things every day that not only benefit them currently – such as getting rid of bad breath, or making sure poor Fido doesn’t go to bed hungry – but that also instill a lifelong habit in them. A healthy habit. That's because we want to make sure we teach good habits for kids. I’ve said it before, but it’s worth repeating many times over — as parents, we cannot know how our kids will turn out. Trust me: as a recovering-Type-A-personality, it pains me to type that out. But one thing that we CAN do is to give them the resources, experiences, and to model good behavior for them in the hopes that they use it to grow into ‘successful’ adults. Wellll…that and ONE other thing. What if I told you that there’s one thing you can do right now with your child that will ensure some future successes handling their money as an adult? You can plant healthy money habits into your kid's brains so that they’ll be more likely to do them on autopilot in the future. What is a Financial Habit? A financial habit is an action you take with your money, regularly, that's hard to give up (be it a good action or a bad one). So, how can a person develop good financial habits — like the ones listed above? Let me show you how to develop ANY good habit (hint: you can use this with money habits as well). I’ve got my own habits to attest to this – and I’m sure you do, too. Like when I lock the back door each time I come in or go out. Or when I check my email first thing when I wake up (probably on the “bad” habit side!). Or how I have to add money to our retirement savings each month before I can think about funding our travel account. We want to send your child off into the wilds of the real world with good money habits already hardwired into them. But how is any habit hardwired into a child? One of the ways is to get your child started on The Habit Loop. Research from author Charles Duhigg shows that a habit is actually a loop in your brain. The Cue: This is the thing that triggers a person to behave in a certain way. It’s very specific. For example, when my 2-year-old naps, my brain cues *seek decompression*. The Routine: This is what you do when you’re triggered – the behavior itself. From my example above, my routine (and one I’m keen to change) is to turn on the tv and catch an episode of a DVR’d series. The Reward: This is the reward that the person gets from behaving in that way. In the example, my reward for doing this is that I don’t have to think for about 45 minutes – my brain gets a break. We’re going to use this to our advantage so that we can instill some excellent money habits into your child. How Do You Develop Good Money Habits? You Introduce Money Chores. You’re excited about this, right? Your child’s initial cue for doing any of the money habits we’ll discuss below is you telling them to. You establish it as a routine chore in your household – just like putting their plates in the dishwasher, or scrubbing their bathroom counter – and you establish that there’s an expectation that chores are done. That's right — I want you to get used to the idea of assigning your kids money chores along with their regular, age appropriate chores! By doing so, your child will eventually internalize this cue. It’ll become a natural part of their routine because they’re consistently carrying it out. Pretty soon – it’ll feel weird for them NOT to do it. Sort of like when you have the kids home all summer and then it feels weird when they go back to school and are not around. And the reward? Well, it might be an external reward to begin with (depending on whether or not you reward them in some way for chores). But eventually, they’ll internalize the rewards as well. Hint: You can quicken that process of making them intrinsically motivated to do these money chores by tying the money chores to their personal money goals. The way you want to introduce these money habits is by introducing money chores on top of your child’s normal set of chores. You want to show your child that these are repetitive money tasks they need to do – and that YOU do – to be successful. Psssst: you don’t have money chores/tasks/habits that you’re proud of? Now’s the perfect time to jump into this with your child. Your finances will completely change from doing this! So, how do you pick the money habits to give your child? The first place to start is to ask yourself some questions. What money habits are serving you well right now? Which of your money habits did you have to learn “the hard-knocks way”, and you’d rather your child start the habit at an early age? I’m not going to leave you hanging – that’s not my style. Aside from the money habits you’ve decided you want to hardwire into your child’s brain, I’ve got 3 great money habits that would be awesome for your child. Where you put your attention, grows. Aside from that, you don’t want to miss fraudulent transactions, underestimate the amount you’ve spent, or lose track of where you’re at. It’s always a good idea to check up on how much money you’ve spent and to make sure there are no fraudulent purchases occurring on your accounts. Not to mention, there are ways to get rewarded for your receipts. For example, your child can earn money using the CoinOut app by scanning in all their receipts (and yours, too, if you’ll let them!). Encourage your child to keep all their receipts in a shoebox or other location. Then, once a week, have them add up how much they spent, scan them into a receipts app if you’re into that, and make sure their account reflects these purchases and no others. Does your child have a money goal they’re saving up for? Like a bike, a video game, Pokémon cards, or they might even be saving up for an iPhone? They need to consistently check in with their money goals. By doing so, they’ll be more likely to actually meet them. Plus, if they are disappointed with the progress they’ve made, then it’s an excellent time to talk with them about where they could improve to get back on track to getting what they want. Money Chore Frequency: Weekly to bi-weekly. 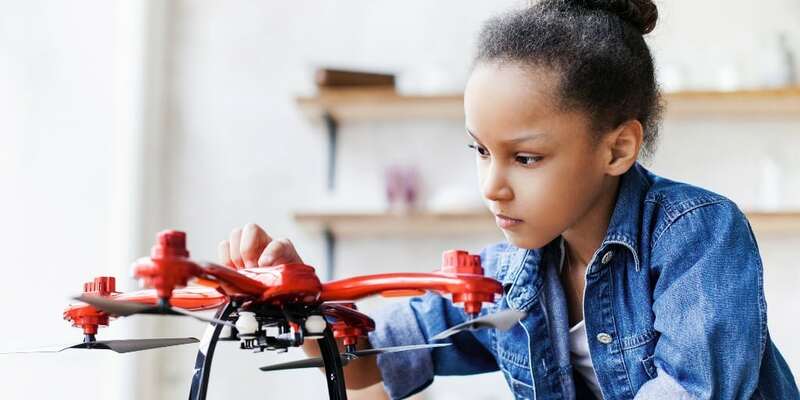 These are some really good habits for kids to not only master, but to have hardwired into their brain – the kind that will make a real difference to their bottom line, and life satisfaction in the years and decades to come. Great article. I’ll need to discuss some of these with my wife and see if we can work them in to our kid’s financial habits.